Pictured left to right – Mon County Commissioner Tom Bloom, Tim Manchin, John Hitchens, Taylor Downs, Jared Lamb. 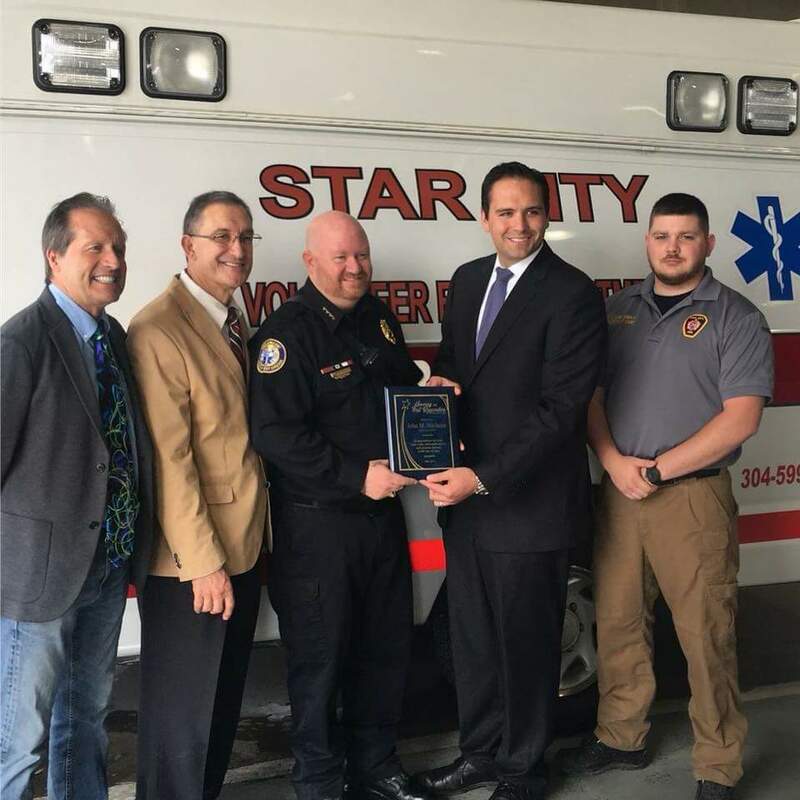 EMS Chief and Administrator John Hitchens accepting the Manchin Law Office First Responder Award. “I’m truly humbled to have received this award” – Chief Hitchens. Proceeds of the award have been donated to the Pantry Plus Program in Monongalia County. Special thanks to the Manchin Law Office for making this happen!